Within 15 the last years the number of Internet users in China has increased from 2 million in 2000 to over 632 million today. This phenomenal increase led to a great metamorphosis of the Chinese e-commerce market. Despite the fact that the rate of Internet penetration in China is only 50%, there are 632 million Chinese Internet users, and 400 million online shoppers among them. China is the key market of e-commerce. B2C sites such as Tmall and JD.com should continue to expand rapidly and exceed C2C sites’s market share, such as Taobao, which still owns a large majority. According to the GroupM China cabinet and their study “China’s Herculean E-commerce Market” : China is the largest market for e-commerce in the world ahead of the United States, Japan and the United Kingdom. The share of online business is 7.9% in China against only 5.7% in the United States. According to the founder of B2B site Alibaba, Jack Ma, the e-commerce in China has become a lifestyle more than a way to shop. A good observation, since China even recently recognized addiction to online shopping as a disease. Clothing and accessories are the most popular categories of online shopping, followed by electronics, consumer durables, bags, and cosmetics. Tmall and Taobao platforms are belonging to the commerce giant Alibaba and are the most important e-commerce in China. They have 300 million active buyers, which is a big advantage in attracting foreign brands to create online stores on Tmall. Burberry was one of the first luxury brands to install an online shop on this platform in April this year. However there is also a strong presence of counterfeit and gray market (the sale of authentic products without being an authorized dealer) on these platforms. Such practices harm the brand image and are the main reason why other brands show reluctance to settle on Tmall, the leading platform of B2C. Alibaba, which aims to create a “Luxury” department on Tmall to separate the high-end from the mass consumer targeted brands, has promised to withdraw counterfeits once the e-store is opened. Some brands opt to differentiate in the Chinese online market especially in the world of fashion and cosmetics. TopShop for example preferred to choose the website Shangpin, dedicated to fashion e-commerce to sell its products. Millions of consumers who are willing to assert their style prefer this kind of more sophisticated and less popular websites. 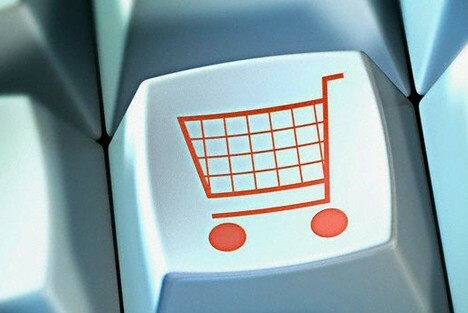 According to GroupM, 70% of Chinese online shoppers consider free shipping as essential. It is therefore not surprising to see that the Chinese e-commerce delivers 9 billion packages a year. Indeed, delivery is the key to the success of online sales. So that to be faster than its competitors, the online sales website Jingdong (JD.COM) has its own messengers, who sometimes deliver in less than 3 hours, even at night. In terms of payment, some websites like Jingdong still offer cash on delivery option but it tends to disappear. 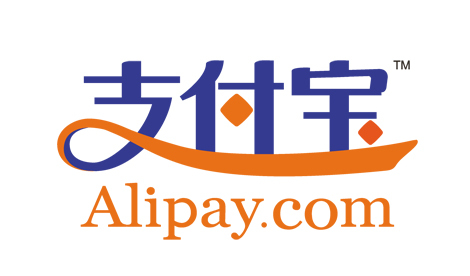 To gives way to online payment with Alipay (Alibaba) or Tenpay. Payment via mobile payment WeChat (Tencent) also grows fast, as approximately half of the buyers are shopping from their mobile. Indeed m-commerce is booming in China, more than 80% netizens connect to the internet via mobile. According to data from the 2014 report on m-shopping by China Mobile, buying via mobile has increased from 0% of revenues in 2010 to 44.8% for 2014. Moreover according to Alibaba, it’s payment application Alipay is more widely used in rural provinces in western China such as Tibet and Inner Mongolia. These observations are confirmed by GroupM, which indicates that the largest share of e-consumers, namely 27% of them come from the cities of fourth tier. Meaning that the next wave of growth in e-commerce and m-commerce will probably take place in smaller cities. With over 90% of Chinese Internet users having at least one account on Chinese social networks, these platforms are seeing it as a great opportunity to take their part of the e-commerce cake. In January 2013, the automaker Mercedes-Benz sold 388 cars in 3 minutes on the Tencent’s leader social network WeChat. 666 Smart were also sold in nine hours on Weibo. 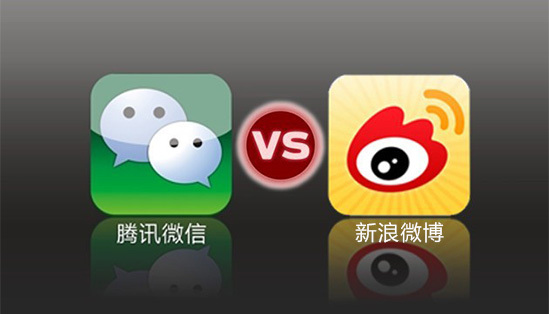 The social network has since added a payment application to his website in the early 2014: Weibo Payment or “Wallet”. Following the proven success of e-commerce via social networks, the old institutions are investing in the most popular networks. Alibaba for example acquired 30% of Weibo, the leader of microblogging to facilitate purchase on Taobao and Tmall to bloggers. In February 2014, the founder of Alibaba Jack Ma said they were victims of a “Pearl Harbor Attack”. Indeed, during the Chinese New Year, Tencent launched a virtual exchange of the period’s traditional red envelopes, “hongbao” via WeChat . Yet Alibaba was the precursor to the events of the chinese new year with “Alipay Hongbao”. However WeChat saw 40 million virtual red envelopes exchanged on its platform in just nine days. The two giants are also competing for market share in several other areas: video, television, entertainment, the gaming, traditional distribution, logistics, taxi, bank. The war is far from over. However, the last battle seems to have been won by Alibaba after its agreeing on partnership with Huawei to include payment fingerprint to Alipay Wallet. While the payment of QRcode by WeChat was censored at the last Spring for security issues. However Tencent prepares his revenge and its new payment solution Tenpay. Chinese e-commerce leaders have also initiated web developments in O2O, online to offline and offline to online. Alibaba Group invested in the network Intimate Retail Group to form a joint venture made ​​up of shopping malls, department stores and supermarkets. The introduction of Alipay in theaters and other businesses is said to be imminent. Tencent has meanwhile invested in China South Sea City Holdings, a logistics specialist. The e-retailer Yihaodian also concluded an agreement with Sinopec to enable it to sell its products in service stations of the oil company. Finally, Baidu plans to launch “Zhida” which literally means Direct Access, a geolocation service in real time. It will provide an opportunity for shops to develop an application helping to attract smartphone users in search of local services. While the major players in the offline also put their products to the online market. Like the Wanda Group (107 malls and department stores), which has also announced the creation of its e-commerce website in partnership with Baidu and Tencent. Literally means to purchase its products beyond the ocean. A trend that has developed to avoid paying the relatively high taxes on foreign goods in China. An estimated 16.23 billion dollars market. But this market has a limited future in front of him as the regulations put in place in early August, will be forcing customs declaration. This should benefit more formal structures such Tmall Global. The market forChinesee-commerce is currently the largest in the world, it is expected to reach 449.24 billion dollars in transaction volume this year. And exceed the markets of the UnitedStates, England, Japan, Germany and France altogether by 2020.While the proposal of taxing online sales announced by the Chinese government for 2015 may somewhat influence sales. Jack Ma’s sentence sums up the future of this market pretty well: “There will either be e-commerce, or either no trade at all in the future” he said. In the coming years, the success of a brand in China will depend on understanding and integrating the Chinese e-commerce. It is therefore vital for brands to invest in this field to ensure their peaceful future in the Chinese market both online and offline. Our agency can help you understand chinese e-commerce and to adapt your strategy to it. Contact us!